Optimization is the science of choosing the best element from a collection subject to some constraints. Such problems arise in domains as varied as engineering systems design, resource allocation, statistical estimation, and game theory. In several of these areas, optimization techniques constitute the computational framework of choice in the development of tractable methods for challenging large-scale problems. Research activity in optimization at Caltech spans the spectrum from theoretical foundations to algorithmic development and eventual deployment in applications. On the theoretical side, Caltech researchers have discovered fundamental connections between convex optimization and algebraic geometry, with applications to the design of robust control systems and to the development of effective relaxations for intractable combinatorial problems. Compressed sensing and its generalizations to other inverse problems have been developed by researchers here, with optimization methods playing a prominent role. These ideas have had significant impact in signal and image acquisition, in addressing the challenges associated with incomplete data in surveys, in dynamical system identification, and in powerful new approaches for statistical graphical model selection. Faculty and students in CMS have also proposed a novel optimization-centric viewpoint of layering in network architectures. 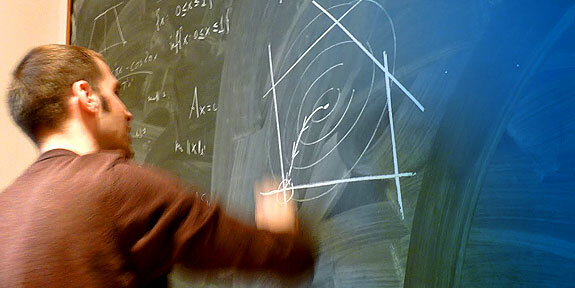 Overall there are significant synergies with other focus areas in CMS and beyond such as mathematical signal processing, networked systems, machine learning, and the theory of computation.